Bellevue, Wash., March 21, 2019 /3BL Media/ – Tri Marine is proud to announce Fair Trade Certification of the Solomon Islands yellowfin and skipjack tuna fishery. National Fisheries Developments, Ltd. (NFD), a Tri Marine affiliate, is now authorized to carry the Fair Trade CertifiedTM seal on the tuna catch from their five medium-scale purse seiners and four pole and line vessels. Tri Marine anticipates customers of its U.S. sales arm, the Tuna Store, will now want to see Fair Trade Certified tuna on retail shelves. SolTuna, the neighboring cannery included in the Fair Trade Certification, plans to process and pack Fair Trade CertifiedTM products for the global marketplace. SolTuna’s products are already an important part of domestic food security in the Solomon Islands and are exported to important export markets like the European Union and the United States. NFD and SolTuna are already Marine Stewardship Council (MSC) certified for environmental sustainability. 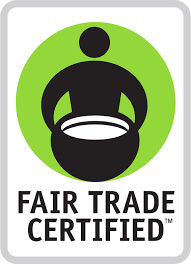 Fair Trade CertifiedTM provides additional social accountability and organized worker protections. Fair Trade USA is a nonprofit organization and the leading certifier of Fair Trade products in North America. Its trusted Fair Trade Certified™ seal on a product signifies that it was made according to rigorous Fair Trade standards that promote sustainable livelihoods and safe working conditions, protection of the environment, and strong, transparent supply chains. Rather than creating dependency on aid, the Fair Trade model empowers farmers, workers, and fishermen to fight poverty and earn additional money to improve their communities. Recognized as a leading social venture by the Clinton Global Initiative, the Skoll Foundation, and Ashoka, Fair Trade USA also helps brands and retailers tell their stories of impact and educates consumers about the power of their purchase*. Visit FairTradeCertified.org for more information.